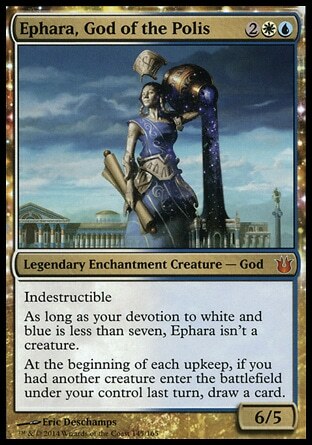 Over the last few months, EDH tables all across the world have been shaking with the might of five new powerhouse hitters: the gods of Theros. 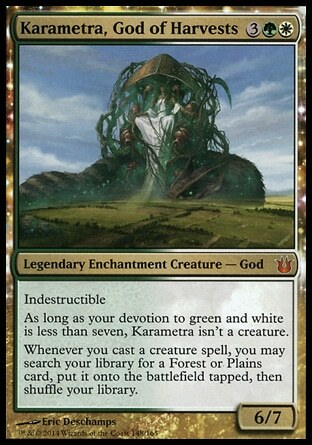 Only time will tell if these new deities invade our tables like the previous gods have, but it helps to kick off our first two-week theme here on Commandercast: All things Theros/Born of the Gods! 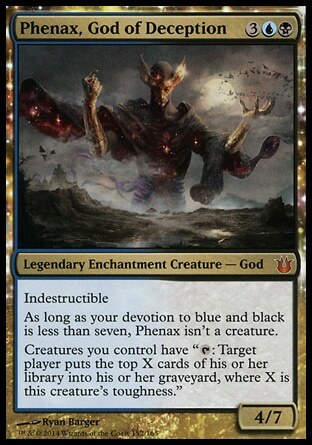 Today, we’re using our show to discuss devotion with Tom of MTGRadio streaming fame, and Brian aka ISBPathfinder, local MTGSalvation mod and mono-colored aficionado. Show notes after the Ib! Howdy, Commandercast faithful! 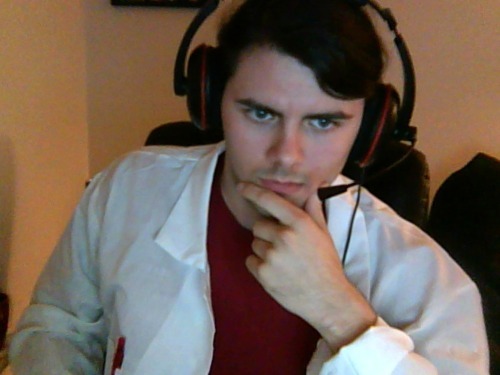 Today, things are gonna be a tad odd. 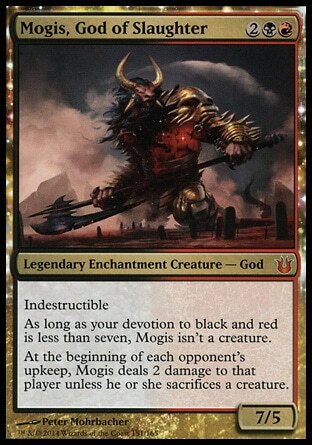 By that, I mean Nole was our sole expert on the Judge Breaker deck but life interrupted, punched us in the gut, and stole him before departing for parts unknown. Fortunately for us, there are tons of Born of the Gods spoilers that came out! You can see the entire selection over on Wizards home site at the image card gallery for yourself, but what do we think about some of these new cards? 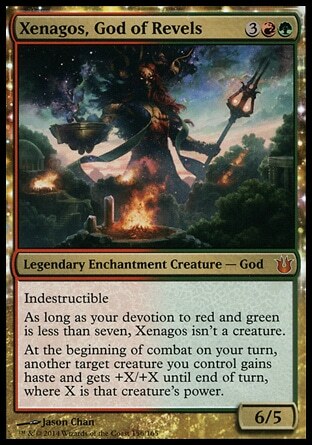 Well Xenagos is the crazy awesome for one. So come on in and watch our minds melt as we trudge through the swampy depths of THE JUDGE BREAKER.